No time to write a post today, so I decided to re-post this hilarious post from two years ago. Wishing you all a year of health, happiness, and success! LOLLL... My daughter came home with a bull and said, "Look! An איל!" I was like... facepalm... until I realized that it was for bikkurim, and she had just confused the two lessons of the day. I wasn't referring to a mistake about the species of animal! 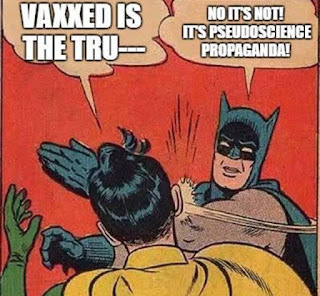 I just updated the post. The wrong end is attached to the head! Ram's horns are not antlers. They curve around from the top of the head toward the back of the head and then around under the ears. Goodness. Have these people never seen horns on an animal before? The horns are upside down. Then again, it's for kids who might not recognize the "shofar" in the horns if they were right side up. The wrong end is coming out of the head? I totally misunderstood. Clearly your daughter thought the animal was a rainbow-colored tachash! Looks fine to me. I always gore other creatures with the wide part of my horns and have the sharp side dig into the head. Its very practical. 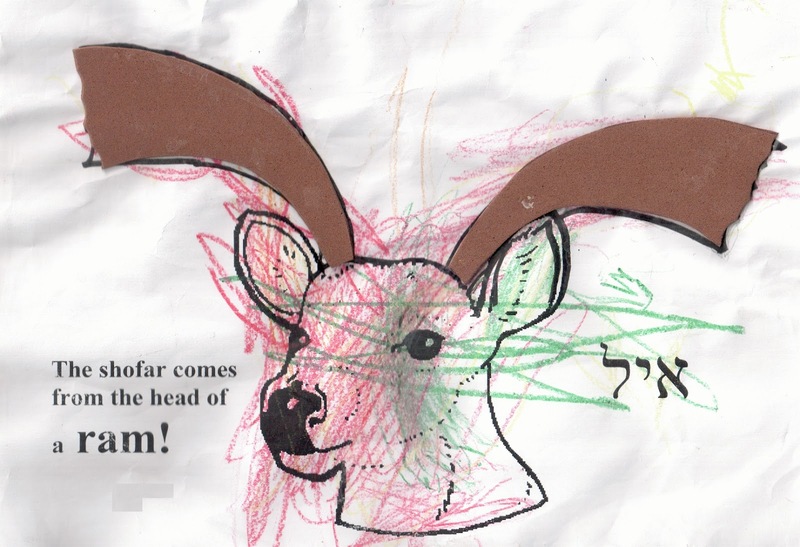 Your child in gan is not the one in error, I'm afraid--your child simply pasted the shofars on the outline of the shofar that is part of the picture. The artist is at fault. OF COURSE the wide part of the horn is facing outward. How else is the ram supposed to honk! @Yehudah P: My feelings exactly. Clearly, the "artist" here has never seen an actual ram. Such mistakes were excusable in the middle ages (e.g. in famous works of art where lions look like lambs because nobody had seen a real lion) but are inexcusable today when anybody can visit a nearby zoo and see real live animals. look more closely, you will observer that the "artist" coloured within the lines. Shofot only come from Rams? Those are not shofars. They are speakers like you find on old phonographs. Which Rav gave the haskamah for the text? A shanah tovah to all. Health, happiness and some parnassah, too.